Majority of bloggers fails because they focus more on getting traffic and ignore about converting visitors into subscribers. Are you also doing the same? One of the difference between a good blog and a mediocre or newbie blog is; good blog focus more on readership and ensuring that their readers are always updated with latest happening from the blog. Blog Email newsletter is one of those ways which ensure that your subscribed readers always stay updated with your latest content. There are various strategies that you can use to ensure your blog email newsletter is opened by all your readers, and that depends on various factors. I will be discussing all of them in this article, but for now lets focus on why your blog needs to have an email newsletter. What a blog Email newsletter? Blog email newsletter is one of the many ways by which your readers can subscribe to your blog. In the old days, RSS used to be the most popular way of subscribing to the blog content, but in 2015 and in the coming years RSS is almost dead now. Email newsletter is still the most profitable and lucrative way for a blogger like you and me to let users subscribe for your blog updates. In such email newsletter you don’t make any changes and all of your new blog posts are sent out as an email newsletter. 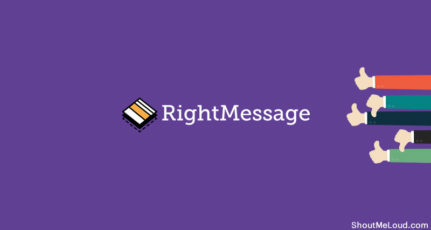 In this we take advantage of RSS feature of the blog, and use RSS to send out automated email newsletter to subscribed users. As a free option Feedburner is the best, but a serious blogger like you should consider using Aweber (Sign up for only $1 here)which also convert RSS into email newsletter. I have explained this earlier here. 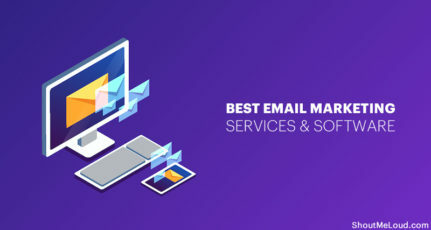 In this scenario you don’t use RSS to automatically create email newsletter for you, rather you hand-picked articles and send out to your subscribers. This way you filter out the filler content and your email subscriber will only receive hand-picked quality content. 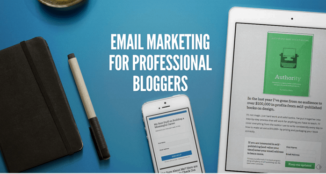 This is one strategy most of the professional blogger follows and it helps in getting maximum email open and increases trust to your email newsletter. Depending upon your posting frequency and articles quality, you should pick one from automated or manual Email newsletters. My suggestion is to use manual Email newsletter as it works better and you can offer various other options to let users subscribe to your blog daily updates. Now, lets look at the points which will compel you to start a blog Email newsletter right away. Even if you have readers who visit your blog very often but there are chances that they might have missed any useful content or updates from you. This may include pillar content from your blog, any important news from blogosphere or industry, or any contest or giveaway you are organizing that time newsletter do play a vital role to keep readers updated about your blog. If there are first time visitors to your blogs and they find your content interesting then there are chances that they will subscribe to your blog’s email newsletter. This will help them to revisit again and later they might turn to regular visitors and can also turn out to be your future clients for the services you provide. When a reader subscribe to newsletter it means that he/she is interested in your blog niche and thus whenever reader will get newsletter he will surely visit the blog. Having targeted visitors is very important for any blog and newsletter is best way to make them visit to your blog regularly. 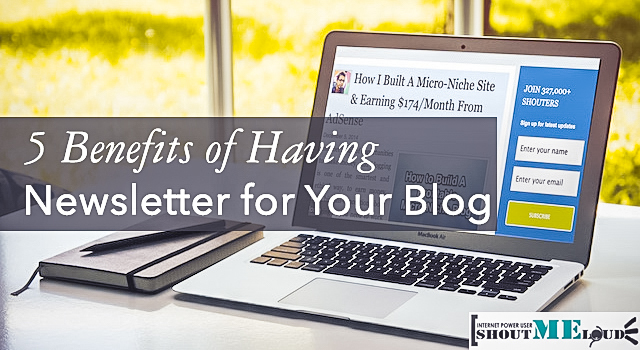 Newsletters are not just for the sake of promotion of your blog or to drive traffic. It is also a good way to get feedback from your regular visitors. You can sent a newsletter to your readers announcing about new services, any milestone you achieved or any exciting feature you are introducing to your blog and I can assure you that you will get genuine feedback from your readers. If you have a targeted niche blog then you can attract advertisers showing them your blog’s newsletter subscriber base and thus you get better chances to earn good amount from them. Apart from that you can also promote your useful affiliate links with your readers and can make money with your affiliate programs. Newsletter is a good way to create a long term relation with your readers. Do you provide newsletters to your readers? If yes then do share your feedback with us. Running an ezine/newsletter co-op for the past 10 years, I could not agree with you more. Many bloggers “make do” with posting – and then hope to establish relationships. However, adding the value of a newsletter (or ezine we like to call them lol), gives the blog writer that extra channel to reach out. In addition, you can actually build a real list of contacts (with permission), something a regular “reader” does not do for the blog writer (you just see a number, but never who). I know nothing beats a notice showing up in my inbox telling me “the newsletter is online.” People are busy and they need and appreciate the heads up. Standing invitation to all “publishers” (website or blogs) to see what I can do for you. I hope you don’t think this is self promoting, it’s not! Many bloggers (and website owners) don’t know where to go to help them grow their lists for free. I think shoutmeloud uses aweber right? Is feedburner also good for attractive newsletter? @Feedburner is ok as it doesn’t offer many control and more over everything is automated. 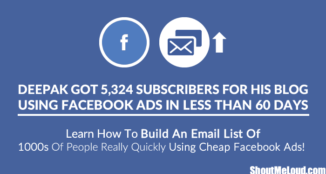 You can’t track how many people are opening and interacting with your eMail newsletter. 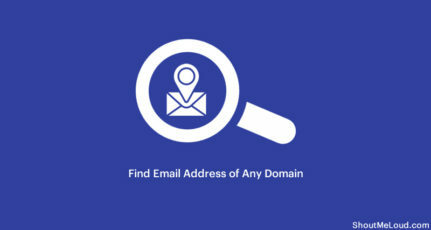 Where as in Aweber offers everything for a professional email marketing tool for bloggers. ShoutMeLoud is using Aweber for last 4 years! Email newsletter is the best to retain the visitors however it is not easy with free tools like Feedburner. Daily emails appears to be spam emails for most of users. It is good to use Aweber and Mailchimp. Yup. I love weekly or bi-weekly newsletter, so that can go through all the articles easily. 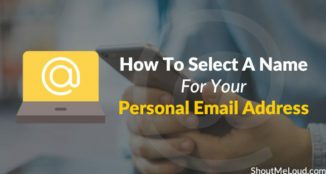 Well to have an email database of people who are interested in your niche and who agreed to accept emails from you is really an online marketing gold. Monetization such database is very popular way how to get out of 9-5 working day. But of course you have to deliver quality content and offer your subscribers something they are interesting in, in the right way. Money is in the list – Newsletter Help you build a list and then you can use it for blog promotion/offers and making money online. Once again I need your help! Please guide me how to create a newsletter for my blog? Is there any guide available for that? If you are using WordPress,you can easily install a plugin named ninja pop up forms.It is too easy to use and attractive for visitors. Sir i use jetpack and sumo ….. If someone subscribes my website , first of all i cannot find the persons email id , 2 ndly if i publish any post then the whole post goes to the subscriber through email id which i feel very annoying. I want some part of the post ( like snippet or a message ) to be shown to the subscriber so that the subscriber visit my website to see that post. And is there any benifit if my whole post is gone to the subscriber via email or is it a loss ? That depends upon your goal. With Jetpack subscription you don’t have the option to send selective post or post excerpt. 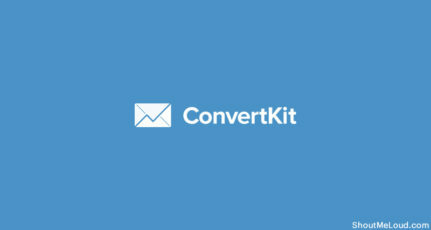 You can use Sumo to capture email & use a tool like Aweber/Convertkit to send email.